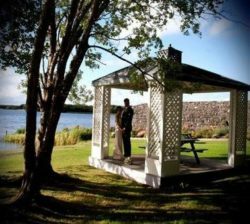 Barbeque Gazebos are perfect for Ireland’s unpredictive weather! A wooden barbeque gazebo is completely water resistant with its fire retardant roof. 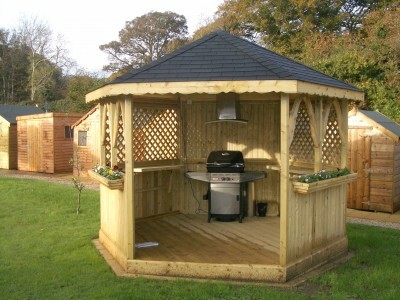 Our barbeque gazebo has a sturdy and attractive design. 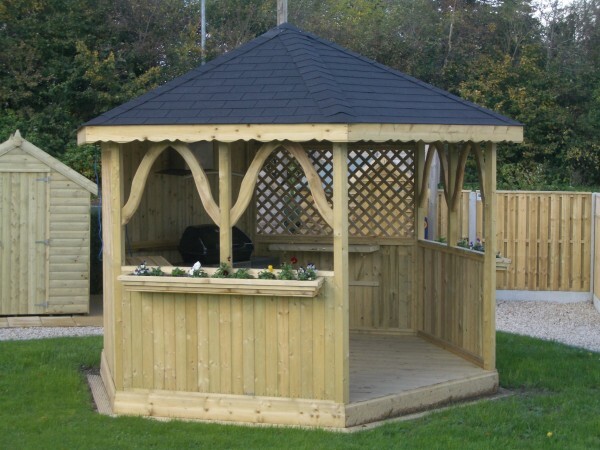 Our gazebos are made of pressure treated timber with felt tiled roof. 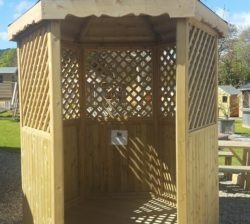 The gazebo is approximately 3.5m across and hexagonal in design. *Barbeque is not included in the price. 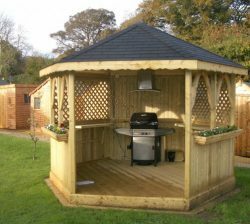 We understand that everyone’s garden is different so if you have an idea in mind just let us know and we can get a gazebo made to fit the perfect space in your garden. 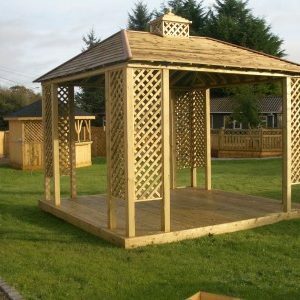 Our Wooden Gazebo is elegant addition to any garden. 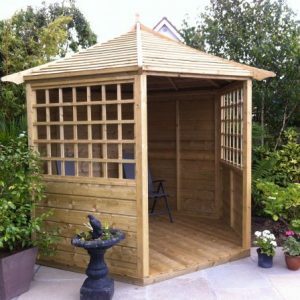 The Gazebo is made from pressure treated TG&V timber and 2″ diamond trellis . 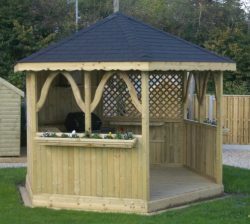 The Garden Pavilion is made of pressure treated timber with shingle effect timber roof and is approximately 3.7m square.